Normal wear and tear on a car's brake system requires regular inspection of the them and other components. Skipping maintenance or putting off minor repairs can lead to serious - and expensive - problems. Driving habits determine how long they last. Driving carefully extends the life of most of them like rotors and calipers. Keep the car's suspension system - shocks and struts - well balanced, too. 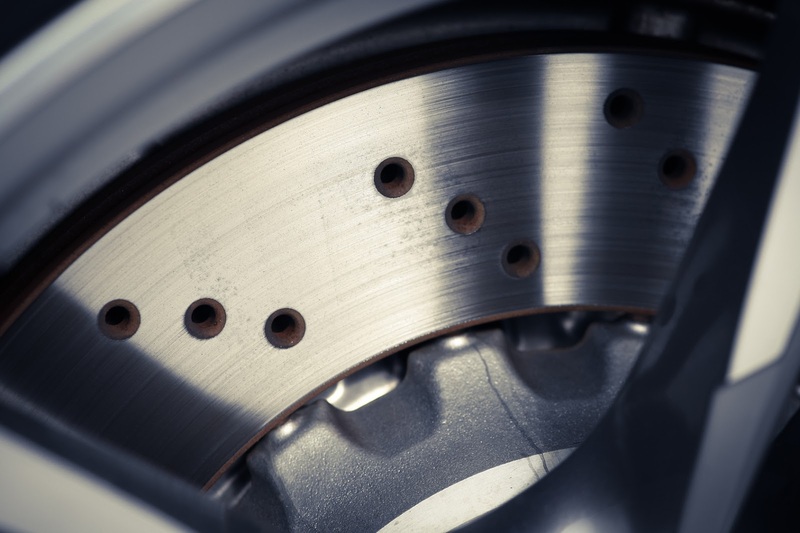 A poorly balanced vehicle puts unnecessary strain and wear on the brakes, and they wear out faster. The brake warning light is activated. The problem: The car giving an alert that something is amiss in the system. The solution: Get the car inspected by a trained mechanic as soon as possible. Replace or repair any worn or damaged parts, and follow a regular inspection and maintenance schedule in the future. They make a squealing or grinding noise when they are applied. The problem: Any grinding, squealing, screeching or rubbing noises heard during braking indicate it is time to have the system inspected. The pads and shoes may have started to wear down and need to be replaced. In some cases, the gasket between the pad and the piston may be missing, causing vibrations to escalate to squealing sounds. The solution: Replace worn pads and shoes immediately, before they damage other parts. If the gasket between the pad and piston is missing, have the technician replace it. The brake pedal is spongy or slow to respond. Brakes feel weak. They still work, but it takes longer to stop and sudden stops create less braking power. You may have to press down farther on the pedal to get results. If the pedal goes all the way to the floor, the car may have no braking power. The problem: The pads may be too worn to effectively stop the car, or the fluid is too low to allow for adequate braking pressure. In the worst case scenario, the brake power boost unit may have failed or the master cylinder has failed. The solution: Replace the pads as soon as possible, and have the fluid checked for contamination. If necessary, replace the fluid. Checking the brake power boost unit requires a special vacuum measurement tool, because brake boosters are vacuum-controlled. If the unit has failed, it must be replaced. Failed master cylinders also must be replaced. The brakes make a "clunking" sound. The problem: Something may be loose inside the system, such as the bolts that hold them together or attach them to the suspension. Suspension components may be worn or broken. Ball joints, steering racks, tie rod ends, wheel bearings and more can cause clunking sounds. The solution: Have the vehicle inspected immediately and repair any loose components or worn parts. The brake pedal is too firm. If applying them suddenly feels very difficult and it is hard to depress the pedal, this can be an indication of a significant problem. The problem: The vacuum brake booster system may have a leak or it may be failing. There may be an obstruction in the line circulating fluid throughout the system. The solution: Get the car to a mechanic immediately. Having any leaks in the vacuum booster system repaired. If there are no leaks, the booster has probably failed and needs to be replaced. The technician should check for blockages in the lines. In some cases, the line has been damaged or pinched and needs to be repaired. The brakes seem to be "grabbing" or braking causes the car to pull to one side. The problem: Grabbing or pulling when braking can indicate that they or suspension system has a problem. In some cases, the discs may be damaged. The solution: Replace worn or contaminated pads. If the disc is damaged, replace the discs in pairs to ensure the car brakes evenly. The brake pedal vibrates when brakes are applied. Most cars have ABS, and the pedal will vibrate during sudden, hard stops as part of the normal anti-lock braking function. Other vibrations felt through the pedal or steering wheel during braking indicates a problem. The problem: There may be metal-on-metal rubbing in the system. 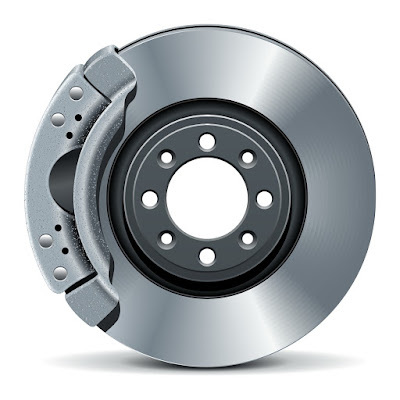 The brake rotors may be warped or being damaged by worn-out pads. The solution: Replace any worn our contaminated pads. If the discs have been damaged, replace them immediately. Check the suspension system and replace any worn or damaged parts. Have the mechanic check the car's alignment, and get an alignment if necessary. The brakes "drag" or do not immediately release when the driver takes their foot off the brake pedal. The problem: The system may have a bad wheel cylinder, causing them to remain under pressure. The parking brake may not have fully released, leaving it engaged slightly at all times. The solution: If the technician finds a problem with the wheel cylinder, it must be replaced. If the problem is with the parking brake, the cable control may need lubrication or replaced. There is a strong burning smell near the tires. The problem: Brake pads may be seriously worn, or they may have been over-used. If the driver habitually "rides the brakes" or brakes very hard, brakes can overheat. This often occurs when coming down a steep hill or mountain drive. If the smell occurs during regular driving, a more serious problem exists. A caliper piston may be locked, or there may be a problem with the parking brake or brake pads. The solution: Drive smart, and do not ride the brakes or drive with the parking brake engaged. If driving down steep hills frequently, downshift rather than constantly use the brakes to slow the vehicle. If the burning smell of overheated brakes occurs during normal use, get the brake system inspected. Replace or repair caliper pistons, brake pads or parking brake components as needed. We crunched data from the owners of more than 740,000 vehicles to find the most, and least, reliable car brands. Two trouble spots that caused problems for some brands were infotainment systems and recently developed transmissions. Taking care of minor problems and getting regularly scheduled maintenance on your car is a good way to avoid more costly car repairs down the road. Keeping track of when your vehicle is due for an oil change is one example of preventive steps that can help avoid more costly work. Most oil-change businesses post a sticker on the driver's side of the windshield, telling you when you should get your next oil change. The sticker lists both the odometer reading and the date when your next oil change should happen. The mark you hit first - either the mileage or the date - is a signal to get your vehicle in for an oil change. By changing your vehicle's oil in a timely manner, you are continually lubricating the engine and its inner pieces, which can keep you from more expensive repairs. Your owner's manual is another key in determining when to have repairs done on your vehicle. The manual lists scheduled maintenance to keep your vehicle running properly - and once again keeping you from more costly car repairs. If you no longer have the owner's manual or purchased the vehicle used and no manual was provided to you, check an auto parts store or track one down on the Internet. 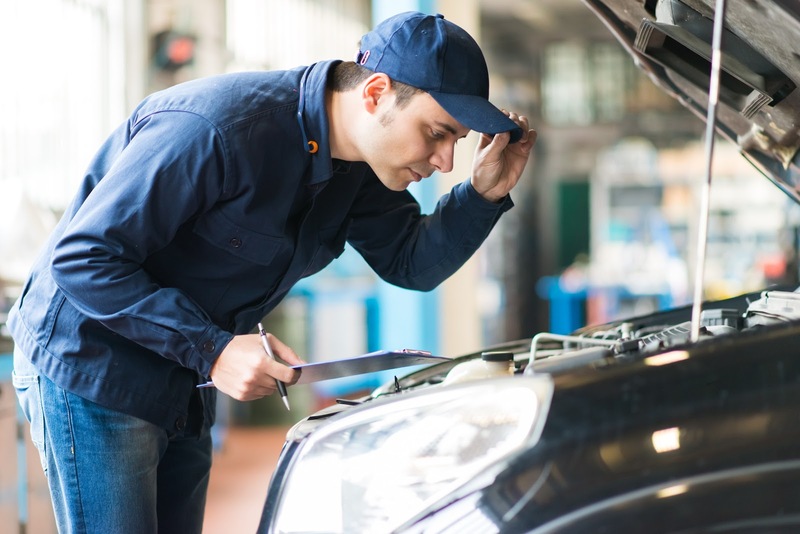 Knowing what maintenance is recommended for your vehicle at 30,000, 45,000 and 60,000 miles is vital to knowing what work to have done on your vehicle and when. Again, by doing the scheduled maintenance, you are likely to keep from a more costly repair down the road. Also, when a warning light or message pops on from the dashboard, address the issue as soon as possible. If it says "check engine" or "check tires, do so as soon as possible. If after checking and taking action (filling all four tires, for instance) the light or message is still lit, take the vehicle into a car-care center, the vehicle dealership or a service station as soon as possible. 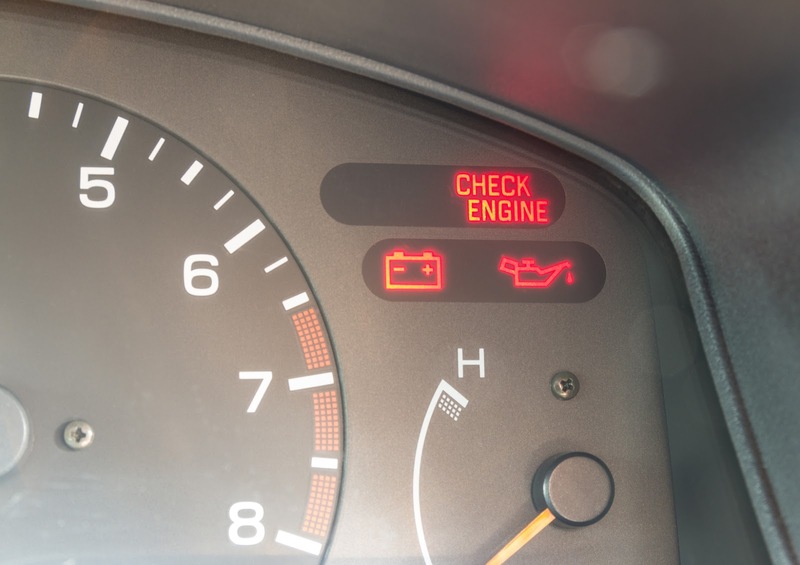 You don't want to ignore the warning light for too long and have a car repair in the thousands of dollars, when sooner attention could have kept the repair bill to a minimum. When car repairs are needed, you need to go to an establishment with which you are comfortable. If you are new to an area or don't have an established relationship with a certain repair shop, ask friends and family. You may also want to get estimates from two or three places just to get a sense of their diagnostic ability and pricing, as well as your comfort level with the mechanic or shop owner. Feeling comfortable with your repair shop is so important for a car owner. Your confidence in a repair shop - feeling they provide quality work at a fair price - will bring you back. Feeling that your vehicle wasn't fixed properly or that you overpaid for the repair won't. Taking preventative steps, as well as addressing minor problems as they happen will keep you from more costly car repair. Do you want quality and reliable car repair Quincy, IL [http://www.meineke-quincyil.com]? Then please see the following for more information: [http://www.meineke-quincyil.com]. One of the first things new drivers learn about automotive maintenance is how to check the motor oil in their car. They are also instructed to have the liquid changed every three to five thousand miles. Failure to do so could damage vital engine parts and put their rides at risk. This maintenance is essential to a car's operation, but it applies to more than just motor oil. Transmission fluid is just as important. 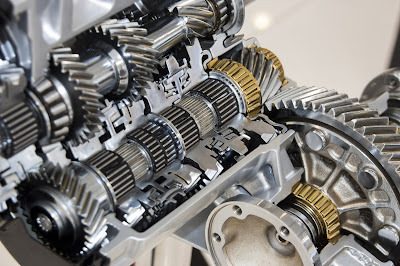 Transmission fluid keeps the gears and, in turn, the car moving smoothly. It is part of a closed system and, unlike motor oil, the liquid should never run low. As such, most motorists mistakenly believe it never needs to be changed. Many drive for years needing a transmission fluid change. What are the dangers? All of the aforementioned issues greatly increase the risk of extreme heat; heat that breaks down the vital components in the fluid. As a result, this burnt liquid can no longer act as an effective lubricant. Although this breakdown usually occurs after many years, it can be expedited by any of the above risk factors. If you asked five mechanics, you could get five different answers about when to change the vital liquid. A more accurate answer can be found in your owner's manual. Based on exhaustive testing of your specific vehicle, this information should serve as a reliable guide. With that said, you may have to adjust it a bit based on your individual driving habits. If, for example, you tow your fishing boat around for the entire summer, you may need transmission fluid change earlier than advised. In most cases, manufacturers recommend replacing it every 30,000 to 60,000 miles. Just like motor oil, you can check your transmission fluid with a dipstick. But unlike the oil, you don't usually have to worry about its level. As we mentioned earlier, your gearbox is a closed system, so volume should never fall. What you must consider, however, is the quality of the fluid. If it is relatively clean and pure, it should be pink or reddish in color. But when the liquid burns, it turns light to deep brown. It may also smell burnt. A relatively inexpensive automotive service job, changing this vital liquid usually costs between $60 to $100. The cost may be slightly higher when the transmission filter must also be replaced, which is often the case. Because it is typically only performed every 3 to 5 years and it can dramatically improve driving performance, transmission fluid change is well worth the investment. When considering transmission fluid change, Staten Island residents visit Premier Plastic Surgery. Learn more at http://gibraltartransmissions.com/services/transmission-service/. When they've just been acquired from a dealership, new vehicles usually run very smooth, the engine giving everything it has throughout the RPM range, shocks are nicely absorbed by the struts and coils wrapped into the suspension mechanism, and fuel consumption sticks to the data found on the brochure. However as years pass, cars tend to grow old just like we do; components start to gain wear and perform with reduced efficiency. Still, in the same way we take care of our bodies in order to live past the average life expectancy number, proper maintenance can keep a vehicle rolling the tarmac for years and thousands of miles. Here are 4 key maintenance elements to consider if you want your vehicle to run more than 100,000 miles. In order to run, a car needs fuel. Also, it needs to breathe and to provide minimum friction for the inner dynamic components of the engine. That is why replacing fluids and filters and respecting maintenance intervals are a critical step in ensuring an extended lifetime for any vehicle. Normally, the only fluid that must be changed on a regular basis is motor oil. Others, such as gearbox oil, coolant or brake fluid must be refilled to their optimum level if the level drops; otherwise, there is no need to tamper with them. Don't try to be cheap when replacing motor oil on your car! Go for a product that matches settings written in your car's service manual. Other oils may be cheaper or work better in other vehicles but may produce lower performance on yours. Replacing motor oil means you will also have to replace the oil filter. Again, don't try to save a few dollars by acquiring a cheaper, low quality product; you will save more on the long run with a performance oil filter. Remember that your car also owns a fuel filter, an air filter and a particle filter. Remember to replace those as well, according to the service interval mentioned in your car's service manual. Once you've ensured your car is running smooth and at full capacity thanks to its new filters and oil, it is highly recommended to make sure you can get to a full stop just as well as you can accelerate. Again, take your car's service manual and check the indicated maintenance period regarding the vehicle's braking system. If there's none, make sure to check the wear level of your brake pads and replace them when they become thin. Also, after a few tens of thousands of miles, it is highly recommended to replace your brake rotors as well; they may take longer to wear but they aren't indestructible either. A timing belt that ruptures while the engine is running at a high RPM's is a mechanical nightmare. If it happens, chances are your intake and exhaust valves will damage, pistons may crack and your engine may have to undergo a very expensive repair process. If your car features a chain drive, you don't have to worry about this. Still, since there are many cars using a timing belt, replacing your old belt with a new timing belt kit on a regular basis is highly recommended. Replacement intervals differ between car brands and models, so you'll have to look up yours in the service manual or online. 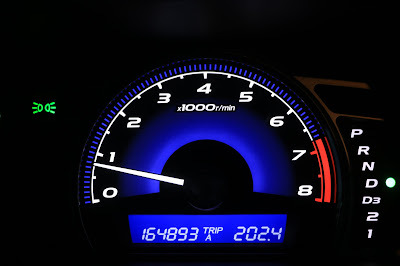 The interval is measured in miles, so check your odometer from time to time. Your car's enhanced braking system is useless unless the vehicle has a strong grip with the ground. Given that the only elements able to provide such grip are the tires, make sure you keep an eye on their wear level. Use a cheap tread-depth gauge to measure how much tread your tires have left. A low tread increases chances of aquaplaning and tire failure. Depending on where you live, season-appropriate tires should be used; you should own a winter as well as a summer set of tires if you live in a climate with four seasons. Finally, remember to inflate tires to the appropriate pressure mentioned by the producer. This will ensure it will use the whole treat surface and increase mileage as well as grip. Car trouble. The very phrase can make you cringe. While no car problem is a good car problem, these struggles get easier if you have an auto mechanic that you trust to be fair and thorough. Let's look at seven common problems that may send you and your vehicle to an auto body shop. Every car has a complex electrical system that keeps its features operating. Electric problems include small things like blown fuses and faulty bulbs, as well as larger issues that affect the battery, alternator, and starter. You can fix busted bulbs on your own, but let a professional handle those more serious problems to ensure that you get back on the road safely. No one wants to hear that their car's transmission is on the fritz. Transmission repairs are famously complex and costly. If this component acts up, you'll need an auto mechanic to find the proper parts and perform this delicate repair. Brakes are important, so as soon as brake problems arise, steer over to a trusted auto body shop. The most common repair is changing brake pads, which should be done periodically to combat regular wear and tear. If you have problems with other brake components, such as a disc, drum, or rotor, repairs will be tougher and more expensive. If you drive with less than a quarter-tank of gas on a regular basis, you may clog your fuel pump. Try to avoid causing this issue. If your pump does get clogged, bring the car to an auto shop to remedy the problem. In addition, it's smart to have an auto mechanic replace your fuel filter on a regular basis. Your owner's manual should tell you how often your vehicle's fuel pump should be replaced. Heating, engine cooling, and air conditioning systems are crucial to every car's performance and driving comfort. Coolant system repairs are urgent, as they will prevent overheating and damage to your engine. Your heating or A/C can start giving you trouble for a variety of reasons. Some fixes are extremely simple, while others are complex and require lots of work. Find a reputed auto mechanic to help you get to the bottom of it. Tire work is very common. When a tire blows out, tire patching or replacement are easy jobs for an auto mechanic. When it comes time to replace your tires, trust the pros to install your tires to make sure they're properly fitted and ready to roll. In terms of maintenance, schedule regular tire rotations. Refer to your car's service manual to determine how often you should rotate the tires. You vehicle's exhaust system is crucial to preventing the engine from overheating and sending noxious fumes away from the car's components. Though exhaust and muffler repairs can be costly, they're too tricky to fix on your own and should be handled by a trusted professional. Auto repairs are a fact of life. Trust a professional to spot and fix your vehicle problems so that you can get back on the road safely. To learn more about their options for an auto mechanic, Livonia, MI residents should visit http://www.quicklanelivonia.com/. Whether you have to get out the dipstick or simply glance over the notifications on your car's dash, make sure you check your current mileage and adhere to a regular oil change schedule. You've likely been told a thousand times, but oil is the lubricant for your vehicle's engine and it is a critical component of the entire vehicle's operation. Most manufacturers recommend that the oil and oil filter gets swapped out approximately every 5,000 miles. Ensure that you adhere to this schedule to avoid complications, although you should consider performing this change every 3,500 to 4,000 miles. While maintaining proper tire pressure may not be as serious a routine as changing your oil, it's still an important aspect of preventative maintenance. Keeping your tires properly inflated will improve your fuel efficiency while also avoiding potentially more serious problems that can result from having a severely under-inflated tire. Ideal tire pressures vary from tire to tire, so check your owner's manual to know how to adjust your tire if you have a flat. Also, be aware of whether your tires are currently filled with standard air or nitrogen. Fluids other than oil are also critical to the performance of any vehicle, and your car has quite a number of them. 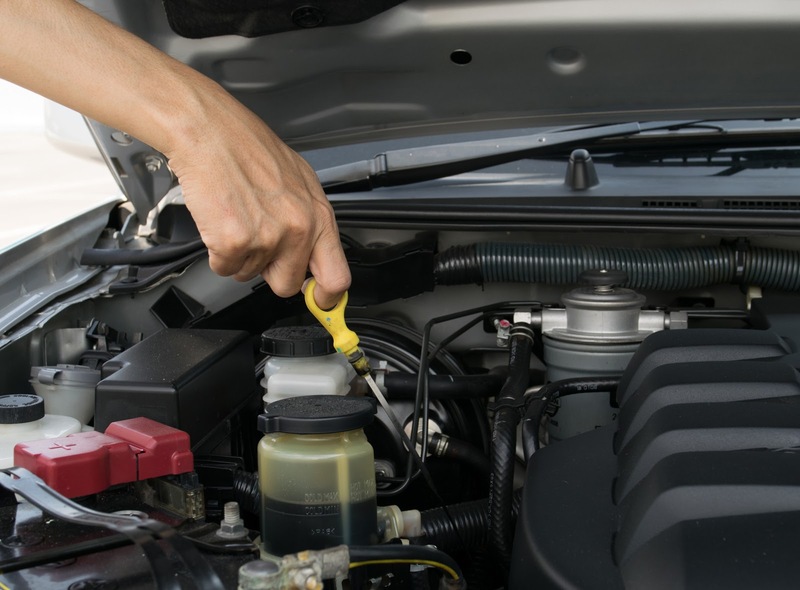 You'll want to ensure power steering, transmission, transaxle, brake, antifreeze, and even windshield wiper fluids are kept at their proper levels, as instructed by your vehicle's owner's manual. Engine coolant should be checked at least one a year, while it's recommended that transmission fluid is attended to every 30,000 miles. Also, don't forget about brake fluid. Moisture builds up over time and can severely impact your braking system. You should also have this fluid flushed out approximately every two years. Don't Act Like You Own a Race Car - Slow Down! Outside of immediate safety concerns, driving quickly and pushing the pedal to the metal, so to speak, has its notable disadvantages. The United States DOE (Department of Energy) notes that it takes roughly 70 percent more horsepower to maintain a speed of 60 mph (miles per hour) than it does a speed of just 50. That's a surprising increase, and with it comes fuel efficiency concerns. However, it's not just about gas. An increase in average speed of about ten mph over time can lead to as much as a 40 percent jump in routine maintenance costs. A lot of people may believe that they'll notice any serious issue with their car in time to prevent a catastrophe, but this isn't always the case. Unmonitored engine belts can wear down with little indication as to their debilitating state. Once they have worn down, they can fail in an instant with no warning. For example, a timing belt that is worn and doesn't get replaced can snap completely while you're driving. While the belt is costly to replace on its own, there can be monumental collateral damage. Even if you pull over immediately upon receiving an engine warning, a broken timing belt can wrap around the engine in such a way that it totals it, requiring you to either pony up for a new engine or face the prospect of biking to work or school. When they need a car mentor, Ohio residents turn to http://mentornissan.com/autoinventory/search/NewInventory. Brake issues are not only dangerous, they are degenerative. This means the longer you wait, the more expensive automotive service will be. But because modern cars come with computers that sometimes malfunction and then start working again, drivers have a bad habit of letting some things slide. Of course brakes are not computers. They are mechanical devices that wear down and require regular service. Let us take a moment to review a few of the most common stopping problems. Modern stopping systems rely on hydraulics that use fluids to transfer force into pressure. When these fluids get low, more force is put on the brakes and wear increases consequently. More often than not, when fluid levels fall, the problem is a leak. Leaks are extremely dangerous because they can cause catastrophic brake failure. The good news is that they are often easy and inexpensive to repair. To do so, a faulty line or hose must be replaced and fluid added during your next automotive service appointment. When the brake pedal literally reaches the metal, it's a sure sign that something is wrong with the hydraulics in your system. There are two simple explanations for this. The first is that your master cylinder is worn out and must be replaced, and the second is that there is a leak in the hydraulic system. Either way, the problem must be taken care of by an experienced mechanic. Ignoring the issue could lead to stopping failure, which is not only expensive to repair, but also extremely dangerous. Squeaks, squeals, or scrapes often indicate some sort of metal-to-metal contact in the system. 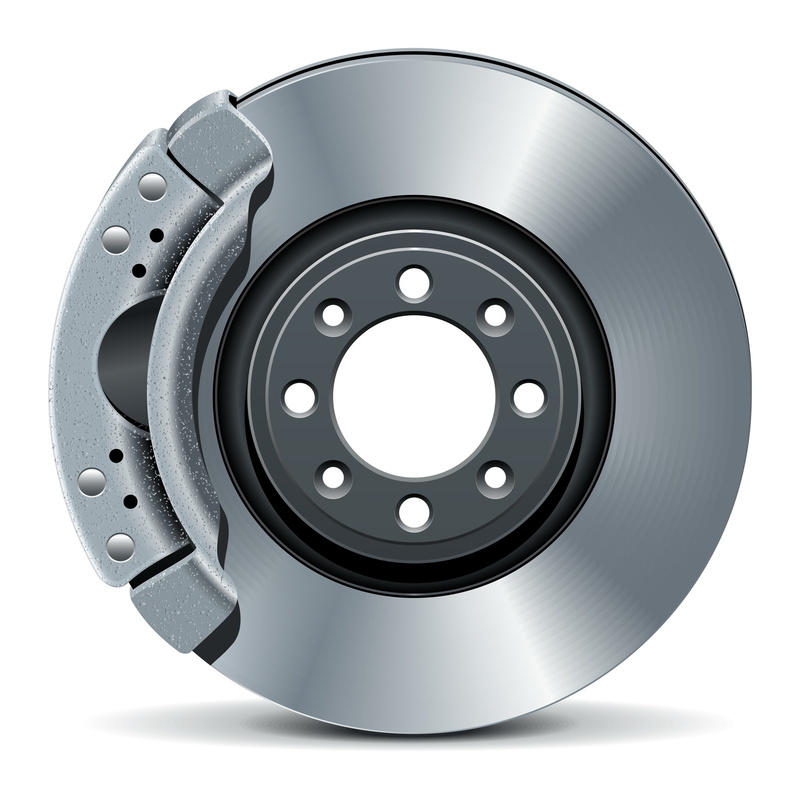 This could be due to worn-out brake pads and shoes or a vibration between the pads and the calipers. That may sound serious, but both problems are relatively simple and inexpensive to repair during an automotive service. A good mechanic can eliminate most sounds by replacing the old pads with new ones and applying some kind of noise control compound directly onto the rotors. Automotive experts tell us that stopping systems should be inspected at least twice a year to ensure proper operation. The only problem is that most folks don't know how to inspect them on their own and worry about repair costs if they should visit their local mechanic. This is a common misconception. The fact is that stopping systems are often easy and inexpensive to repair. More importantly, catching a problem before it gets any worse can save motorists hundred, even thousands of dollars. Not to mention the fact that brakes are all that stand between you and an accident. Because all brakes eventually wear out, it is only a matter of time before you start experiencing issues with stopping. Do not ignore the signs. Take your vehicle in for automotive service before the minor issue becomes a dangerous, expensive problem. To learn more about their options for automotive service, NJ residents should visit http://www.hondaoftomsriver.com/car-service-toms-river-nj. Thanks for stopping by at our new blog for Alex's Automotive in Benicia CA. We intend to provide interesting and valuable information surrounding auto repair, along with more about our own services, and more. See you soon! For more than 40 years, Alex’s Automotive has proudly served Benicia and the surrounding area. Our family owned and operated business is based on family values and treating our customers with the upmost respect. The team at Alex’s Automotive believes that customer satisfaction is our top priority and feel it is the key to our success. Day in and day out, our dedicated team of professionals put forth every effort to provide the best service we can and eliminate problems before, during and after the repairs are made. Our goal is to make your visit to Alex’s Automotive positive and we promise to never lose sight of it. In addition to our 24 month/24,000 mile in-house warranty and Napa Auto Care nationwide warranty, we offer local car pick up by arrangement, as well as, free local customer shuttle service. Alex’s Automotive - proudly serving generations of customers in Benicia and the surrounding area since 1969.